Henkel is a Germany based Chemical and Consumer Care Company founded in 1876. The company specialises in manufacturing adhesives for consumers, craftsmen and building, industrial adhesives, beauty care and laundry and home care. The company operates in three business units--- Adhesive technologies, Beauty care, Laundry and home care. The adhesive technology segment is the most profitable segment. The company has highly diversified operations across Western Europe, Eastern Europe, Africa/Middle East, North America, Latin America and Asia-Pacific. The Company's Adhesives segment markets a range of brand name products for private users, craftsmen and the construction industry for Consumers, Craftsmen and Building operating segment. Packaging and consumer goods adhesives, transport and metal, general industry, and electronics are covered in the Industrial Adhesives segment. The Beauty Care segment includes active branded consumer goods operating segment involving hair care, hair colorants, hair styling, body care, skin care and oral care. The laundry and home care segment have its presence in laundry and home care branded consumer goods. Henkel employs more than 53,000 people globally. Henkel’s 61.02% shares are owned by members of the Henkel family through a share pooling agreement. 1. Consistent financial performance and clear growth strategy: Henkel has been a consistent performer in terms of revenue with operating income in FY 2016 being 2093 million Euros and growing to 2541 million Euros in FY 2017. The reported growth over 2016 is 25.41%. The organic sales growth was observed to be around 3.1%. The company’s sales grew to 20029 million Euros compared to 18714 million Euros in 2016.The EBIT was seen to be 3461 million euros in 2017 as compared to 3172 million euros growing by 9.1 percent. Adjusted return on sales grew t 17.3 percent as compared t 16.9 in previous year. EPS grew to 5.85 euros compared to 5.36 euros in 2016. The Emerging markets generated an organic growth of 5.3 percent which amounted to 8130 million Euros. All the individual business segments saw a good growth in 2017. The sales for adhesive technologies stayed at 9387 million Euros, Beauty care at 3868mn Euros and Home care at 6651 million Euros. The company strategy has been focussed towards digitization, having an agile development accelerating fund growth. The company has a clear strategy of driving growth by engaging with consumers, focus on innovation, identifying new sources of growth and developing new brands while nurturing existing brands. 2. Strong global presence: Henkel has developed its global presence over the years. Henkel has been expanding its global footprint by using a strategy of strategic acquisitions and partnerships. The company has diversified its presence across strong markets like Western Europe, Eastern Europe, Africa/Middle East, North America, Latin America and Asia-Pacific. The company’s operations are diversified in broad geographical region including 37 countries in Europe, 11 countries in Africa & Middle East, 14 countries in Asia-Pacific, 12 countries in Latin America, 3 countries in North American region. Sales this year in Western Europe was around 6000 million Euros, in Eastern Europe being at 2897 mn Euros. At Africa and Middle East, the Sales decreased to 1302 million Euros. Sales in North America increased to 5162 million Euros, in Asia Pacific at 3371 million Euros and at Latin America it was at 1142 million Euros. 3. Strong brand portfolio: Henkel overall global presence and reputation across various countries has led to its brand development over the years. Henkel is also a major player when it comes to laundry and home care , Industrial adhesives and personal care as well. The company is well recognized in major countries like India, North America, in European countries. The main brand values for the company lie along the lines of performance, growth, and Innovation. The company further invests to strengthen its brand portfolio across the world through innovating new products. The company brands are diversified across different segments based on applications for example the consumer goods are mainly covered by the laundry & home care unit. Beauty care product unit covers both consumers goods such as oral care and body & skin care areas as well as professional hair salons. Consumer brands for households and craftsmen as well as Industrial clients like automobile, aircrafts, computers manufacturing and constructions are taken care by the Adhesive Technologies, Sealants product line. Some of the leading brands include Loctite, Technomelt, Teroson under adhesive technologies, Schwarzkopf ,Dial ,Syoss under Beauty care and Persil , all ,Purex under laundry and home care. Sales in adhesive technologies grew by 5% organically, Beauty care by 0.5% and Home care by 2%. 1. Varying Trade regulations and policies: Changing global trade policies and tax regulations have a significant impact on the operations of Henkel. Henkel has its presence in significant regions – China, US, Middle East, India. Thus, the operations are thus subject to change in the US trade policies. Trade protection measures such as import or export restrictions and requirements, the imposition of burdensome tariffs and quotas or revocation or material modification of trade agreements are some of the parameters which will affect the operations. Moreover, the trade protection measures are expected to further intensify due to presidential guidelines. Stringent export laws in China, ban on plastics has been one of the major factors which will affect the operations in China. Similarly, GST in India will have a major impact on the operations of chemical industries in India. 1. Providing customized product options: Product Design quality and safety have been one of the major criteria of buying preference for customers. Increasing focus on buying convenience and product availability. Customers are shifting towards more innovative products as compared to other brands. the Group has been working with business partners to differentiate its high-quality products and to create sustainable solutions. The company has been expanding its beauty care and innovating its portfolio by adding its innovative labs for Schwarzkopf in various countries. The company has been advancing in its offerings in the field of adhesive technologies as well. The groups have been innovating its production, distribution, sales and their supply chain to cater to the changing needs of consumers and in lieu of the market competitions. 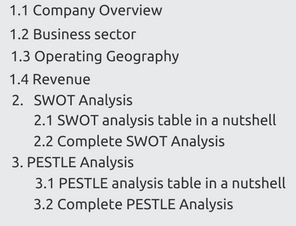 The remaining section under "Social" is available only in the 'Complete Report' on purchase. Zotos International Hair salon business 2017 Acquisition Acquisition to further strengthen our Henkel’s Hair Professional business in the US and bring hair professional brands such as Joico and Zotos Professional under its ownership. Nattura Laboratories Hair salon business 2017 Acquisition Acquisition to strengthen its Hair Professional business and significantly expands its market positions in Mexico and the USA. 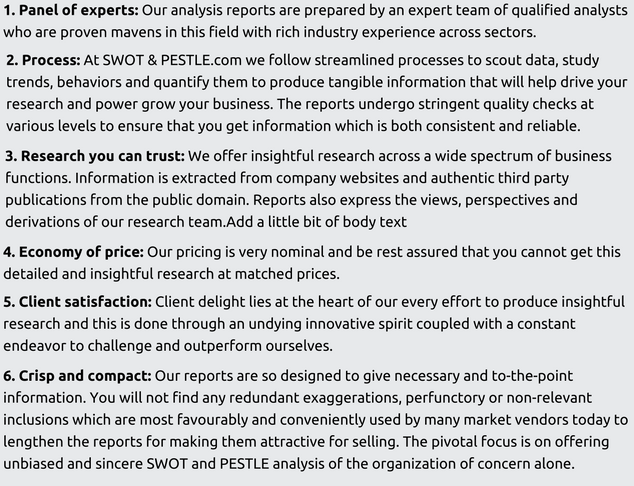 Henkel SWOT and PESTLE analysis has been conducted by Soumya Surya Adhikari and reviewed by senior analysts from Barakaat Consulting. 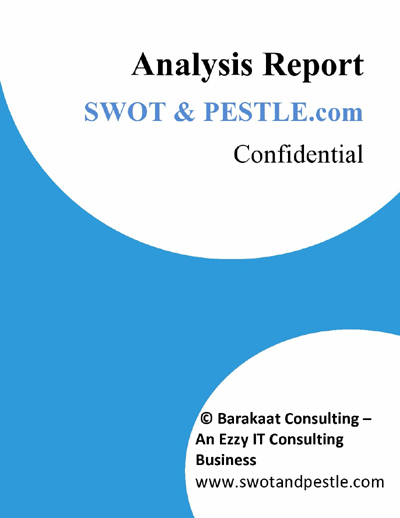 Copyright of Henkel SWOT and PESTLE Analysis is the property of Barakaat Consulting. Please refer to the Terms and Conditions and Disclaimer for usage guidelines.